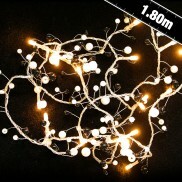 A huge choice of string lights and fairy lights for indoors and outdoors that make magical lighting gifts. 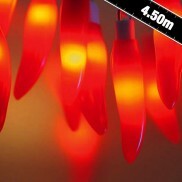 Sweet as candy retro Love Hearts string lights add a splash of colour and playful light to your home. 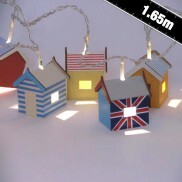 Fabulously nostalgic British Seaside memorabilia, these Beach Hut String Lights hold delightful retro charm. 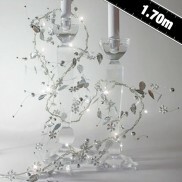 Highlight your home with fabulously eccentric British design. 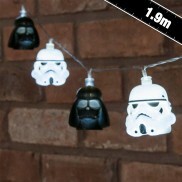 The Empire Strikes Back with LED light shining from the iconic helmets of Darth Vader and his Stormtroopers! 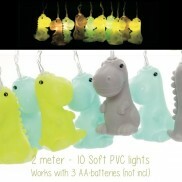 Add gentle illumination to your child's room with these playful soft touch dinosaur string lights. 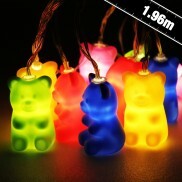 Ten colourful jelly teddy bears make a super sweet squidgy light string to transform kids rooms at night. 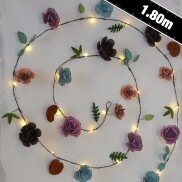 Soft, romantic and lit by warm white LEDs, rose string lights allow you to enjoy flowers with a little extra sparkle. 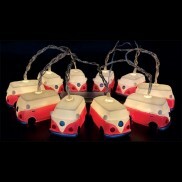 Enjoy hippy chic and a laid back retro feel with a string of iconic camper vans lit with warm white LEDs! 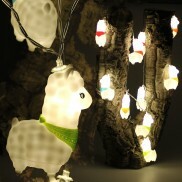 Adventurous kids will love these adorable Alpaca string lights with their colourful bandannas and a warm, cosy glow. 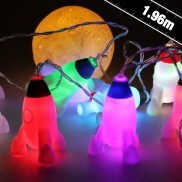 Out of this world lighting for kids rooms, these soft and squidgy rockets are lit with colour change LEDs! 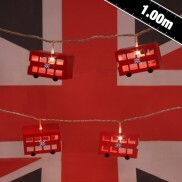 Quirky British style meets iconic design in the London Bus String Lights. 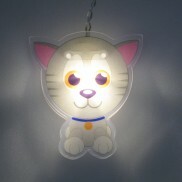 Unusual and decorative they're a fantastically cute way to provide soft ambient light throughout your home. 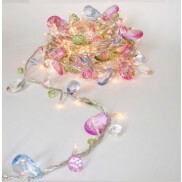 Bejewelled and glamorous, bohemia string lights would make a beautiful gift for any lady who wants to add a feminine feel to any room in the home and once lit will create a warm, intimate atmosphere that allows you to relax and unwind. 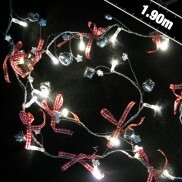 Spread a little festive cheer with these charming battery operated Gingham Bell LED String Lights. 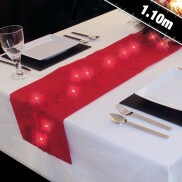 Illuminate your dining table with magical light and delicate beads with the Battery Operated Black and White Bead Table Runner. 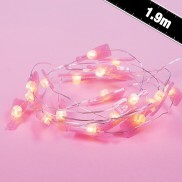 Cute little kittens always go down a treat with the kids, and these Kitten String Lights will certainly be a favourite with children of all ages. 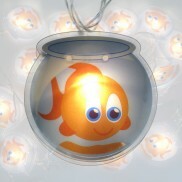 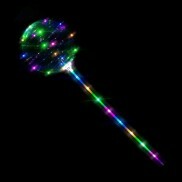 These playful goldfish stringlights are a colourful, fun light feature for any child’s room. 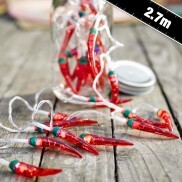 Get decorative and cast a warm and cosy glow. 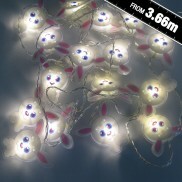 Kids will adore these Rabbit String Lights, a set of sixteen adorable grey rabbits that cast a soft, magical glow around the room. 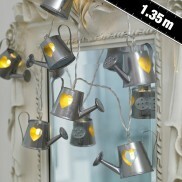 Cute little watering cans are lit by warm white LEDs to make a beautifully rustic set of fairy lights.